Information on this website is for personal use only. No part of this website may be reproduced, displayed, distributed, transmitted or reused for any other purpose without prior written permission of Jackson-Feild Homes. The content, arrangement and layout of this website are the sole property of Jackson-Feild Homes. Any unauthorized use of the content, arrangement or layout of this website may violate civil or criminal laws, including but not limited to, copyright and trademark laws. 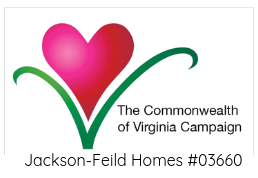 Jackson-Feild Homes places the highest priority on protecting the privacy of our donors, children, staff members and stakeholders. We maintain information in strict confidence, making every effort to protect the privacy of those involved. Personal data including names, addresses, phone numbers, email addresses, birth dates and other information may be accessed only by authorized employees and used only for business purposes. Misuse of this information or violation of our confidentiality policies will be subject to disciplinary action. We do not sell or trade personal information of donors. “Third party” information shared with us via tribute gifts (memorial or honorary gifts) will be entered into our system and handled with the same respect and privacy accorded our donors. We may list donor names in various publications from time to time, but donors may request at any time to remain anonymous in relation to charitable giving. Online fiscal transactions are secured via an encrypted system to ensure the protection of personal information such as credit card numbers, social security numbers, taxpayer identification numbers, bank account information and other data. Please note that viewers can contact Jackson-Feild Homes to review, edit and/or delete any personal information on this website. We do not store “cookies” or monitor visitor preferences, nor do we permit external advertisers the use of our website. However, we do post helpful links to other charitable or child-serving organizations. We are not responsible for the privacy practices of these linked entities. You may “opt in” or “opt out” of our mailing list at any time. We strive to maintain accurate records and will research and correct any errors that are brought to our attention.